Osinbajo to brief Nigerians on outcome of meeting with Buhari – Royal Times of Nigeria. Acting President Yemi Osinbajo will soon brief the nation on the outcome of his meeting with President Muhammadu Buhari in London. Mr Laolu Akande, the Senior Special Assistant to the Acting President on Media and Publicity, made this known on his twitter handle on late Tuesday night. “We will soon share more information about Acting President’s London meeting with President Buhari. It was a very good meeting. “God bless Nigeria,’’ he said. 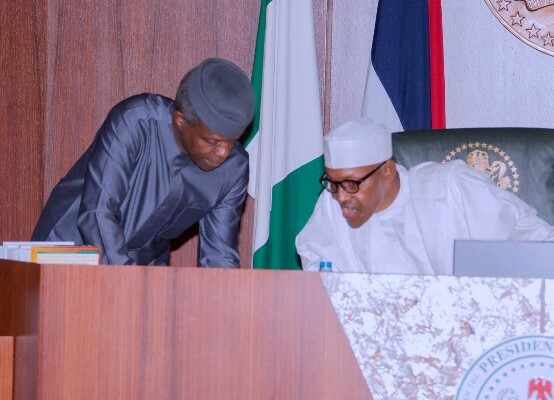 It would be recalled President Buhari on Tuesday summoned Acting President Osinbajo to a meeting with him in the United Kingdom where he is presently on medical vacation. Osinbajo jetted out of Abuja soon after presiding over the Quarterly Presidential Business Forum on Tuesday morning at the Presidential Villa, Abuja. Akande had earlier confirmed in a tweet on his twitter handle, “@akandeoj that Osinbajo had left for London to meet the President but did not give details.